I've been very busy trying to raise money to fund my feature film, so I've taken on a bunch of freelance jobs and appearances to pay my bills. The big one last weekend was at the prestigious Museum of the Moving Image. They were early supporters of me and my movies. It was around 1998 I believe that I did my retrospective there. David Schwartz, the curator, put together a big show of all my films, even my live action films "J Lyle", "Guns on the Clackamas" and "Walt Curtis, The Peckerneck Poet." It was a lot of fun. 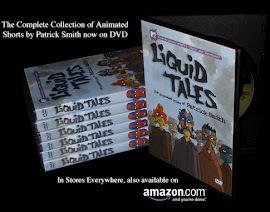 Recently, when I attended the grand opening of the MMI after it was remodeled, I told David I had a new book out ("Independently Animated, Bill Plympton") and I'd love to do a book party - He loved the idea and suggested I show my two most recent features "Hair High" and "Idiots & Angels." Then I mentioned that Alexia Anastasio was making a documentary about us. He got really excited and proclaimed "It's a deal!" 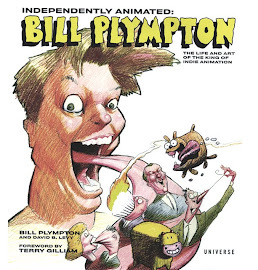 So last week we had the Bill Plympton weekend at The Museum of Moving Image. Friday night my co-writer David Levy and I went on stage to talk about the big Rizzoli book - we showed a few new shorts then projected some artwork from the book and talked about its meaning to my life and career. There wasn't a big group in the auditorium, maybe 50 people were present. It was the Memorial Day weekend but the people who came lined up to buy the expansive book - I'm so happy people like it. I gave everyone a fancy drawing in the front cover that increases the value of the book by a hundred fold. The next day - Alexia Anastasio and Kevin Sean Michael came by to screen the documentary about me. Previously I'd seen a rough cut, and although it was nice I had some issues with the editing decisions. So it was so amazing to see their new cut at the museum. It was so entertaining and informative. It was really wonderful, but again because of the warm holiday weekend it wasn't a big crowd. Still, the people there seemed to love it. We took Q-A after, then we all hung out at the cafeteria to get reactions and suggestions to make it better. The documentary is still in the rough-cut stage but it is already getting a lot of buzz and we're hoping to get a good festival run and have some nice TV and DVD sales. The next screening is at the Annecy Film Festival in France. Alexia and Kevin have put a lot of time and money in the film and want to recoup their investment. So I hope it gets a big long successful run. Wow Bill that sounds fantastic! Looking forward to seeing the documentary.